Welcome to Aluminum City, Mission Beach's premier choice for affordable, long-lasting shade systems, such as patio covers, window awnings, door hoods, carports, and patio rooms. 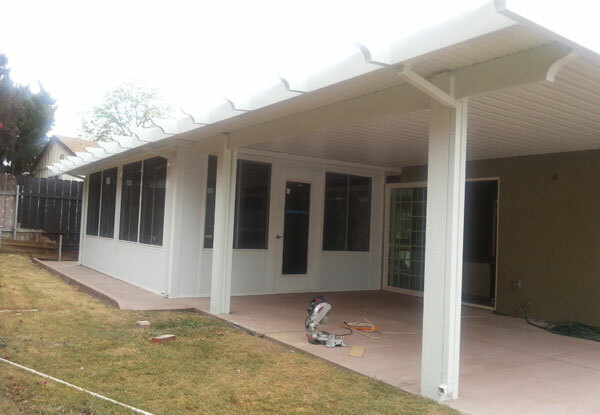 All of these shade systems are customized to meet the needs of our diverse residential and commercial clientele in Mission Beach and expertly installed by professionals with more than 30 years of experience each. They've helped thousands of customers add patio covers, pergolas, sunrooms/patio rooms, awnings, door covers, and carports of the highest quality to their properties at budget-friendly prices. In fact, because our owners handle all sales, design, and installation work themselves, we are able to keep our prices lower than nearly every other San Diego patio cover company. Why aluminum for your patio covers, awnings, door coverings, patio rooms, and carports? When you choose aluminum patio covers, awnings, door coverings, patio rooms, and carports, you are getting the best return on your investment. Aluminum lasts longer; is virtually maintenance free; and resists rot, rust, fading, bubbling, flaking, and insect infestation. Plus, aluminum is highly customizable, available in smooth or wood-grain textures, several colors, and a wide array of styles. Aluminum City has been installing patio covers and related shade solutions for over five decades. During this time, we've learned from experience which products and installation techniques yield the best results. That's why we are proud to be a factory-authorized dealer of Four Seasons Building Products, one of the leading manufacturers of outdoor living products in the industry. Four Seasons Building Products' shade products are made with high-quality structural aluminum that's primed then painted. As a result, their patio covers and other systems have a longer life compared to similar products on the market, and they are all backed by some of the best warranties in the industry. To learn more about our aluminum patio cover sales, installation,and replacement services available in Mission Beach, call us today. We are open every day from 7:00 am to 10:00 pm. Aluminum City is licensed, bonded, and insured, and we offer free on-site consultations and estimates to all of our Mission Beach clients. Whether you want to keep your home cooler on hot days or reduce the amount of sun on your outdoor seating area, Aluminum City's patio covers will be a great addition. For over five decades, we've provided Mission Beach home and business owners with high-quality covers that compliment, protect, and cool patio spaces of nearly any size. 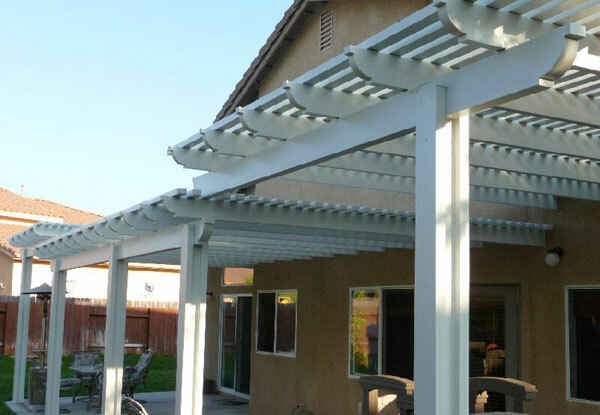 Since we use durable, long-lasting structural aluminum that is primed and painted, our patio covers are structurally sound and will never rust, rot, flake, or be susceptible to termite damage. Our patio covers come in solid, lattice, or insulated styles, a wide array of designs, six different colors, four types of end cuts, and smooth or wood-grain finishes. Additionally, you can add on lighting fixtures, ceiling fans, or a skylight. Call us today to learn more about our patio covers in Mission Beach. Aluminum City's pergolas are essentially free-standing lattice top patio covers. They can be installed in any backyard, park, terrace, or commercial space and look beautiful for decades. All of our pergolas are made of structural aluminum that requires virtually no maintenance. They are backed by lifetime warranties from the manufacturer and matched with Aluminum City's Lifetime Limited Warranty. 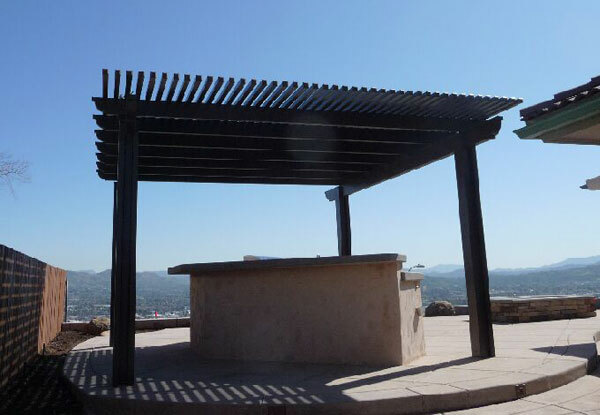 To personalize your pergolas, we offer an array of options: smooth or wood-grain texture, six colors, insulated or non-insulated roofs, four different types of end cuts (mitered, scalloped, beveled, and corbel), a variety of column posts, and more. Best of all, these high quality pergolas are priced to fit most budgets. Call today to learn more about our lattice roof pergolas for Mission Beach residences and businesses. Aluminum City has provided our Mission Beach customers with attractive window awnings and door hoods at incredibly affordable prices for over 50 years. Our window awnings are made from 3.5" slats that are connected at a forty-five-degree angle so that they provide exceptional sun protection and shade. These slats are available in twenty different colors that can be mixed and matched to create solid, striped, or multi-colored awnings. Our door hoods are very similar to our window awnings in construction, except that they also feature return side wings. Trust the professionals at Aluminum City to design and install your custom window awnings and/or door hoods for your home or business in Mission Beach. At Aluminum City, we have the ability to build and install beautiful, custom-designed patio rooms out of heavy-duty extruded aluminum with insulated foam that can extend your living space and increase your the value of your property. You'll be able to choose from six different colors, a variety of window and door options, and smooth or wood-grain textures. We can also install skylights and electrical raceways for lighting and ceiling fans. California rooms are built to code and have an environmentally friendly gutter system. To learn more about our patio rooms (aka California rooms) available for Mission Beach homes and businesses, call Aluminum City today. We offer free onsite estimates, and are licensed, bonded, and insured. Aluminum City offers durable, long-lasting, and affordable carports for home and business owners in Mission Beach. 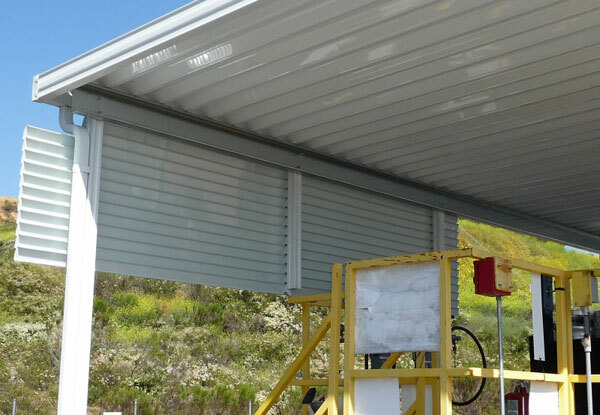 Carport are an affordable way for you to protect your cars and other property, such as boats, commercial trucks, sensitive equipment, and machinery. Whether you prefer a freestanding or attached carport, all our work is done to code and guaranteed to last. Our carports are made of thick structurally aluminum for lightweight durability and feature a baked on primer under its paint for added protection against rust, rot, flaking, fading, and bubbling. We can construct carports in nearly any size--small enough to accommodate one or two cars or large enough for 100 cars. Call today to learn more about our carports sales and installation services for Mission Beach. I love my new patio! It's gorgeous and provides shade! The window awnings look fabulous and really made a difference with the heat. The crew were quick and very professional and I've referred them to lots of my friends and neighbors.